We had owned our "small" farm on a ridge overlooking the Illinois River valley for many years and were looking for the proper "small" animals to keep us in touch with our agricultural roots. When the miniature Hereford cattle turned out to be not so miniature it was time for something else. An article in the New York Times about alpacas caught our attention and within a year we had purchased our first pair of bred females. 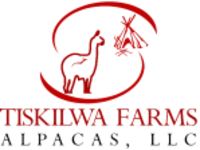 We've spent the last few years purchasing high quality Peruvian and Chilean huacaya and suri alpacas from the top farms in the United States and developing our herdsires - The Chiefs of Tiksilwa. We now have over 100 alpacas and a full time farm manager helping us live our dream. Our farm takes its name from the nearby village of Tiskilwa, Illinois. 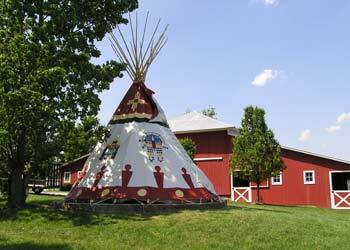 It was named after the Pottawattamie Indian Chief who spent the summers with his tribe in the area. A visit to our farm includes time with our alpacas as well as our other animals including miniature sheep, chickens, guinea fowl, ducks, geese, llamas and our Akbash dogs. Call and arrange a visit soon!